A thing that exists in this beautiful, terrible world we all live in is a TV movie about zombies in the Wild West featuring some of the members of the ’90s boy bands ‘NSYNC, Backstreet Boys, 98 Degrees, and O-Town. Let that sink in. 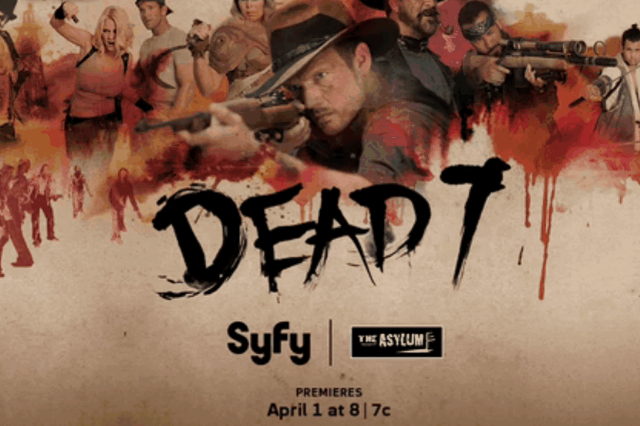 Yes, Dead 7 — a SyFy original film from the makers of Sharknado — is real and premieres on April 1. In addition to starring in this cinematic masterpiece, the aforementioned gang of has-beens have also recorded a new song together. “In the End” features the vocal talents of Nick Carter, A.J. McLean, Howie Dorough, Joey Fatone, Chris Kirkpatrick, Jeff Timmons, and Erik-Michael Estrada. It’s cheesy and not very good, though probably worth a listen just for the sheer novelty of it all. Boy, time really does makes fools of us all. Stream “In the End” via BuzzFeed and download it for free here.